Tottenham survived a late scare to end their winless run at the Amex Stadium on Saturday evening. Harry Kane netted his first goal in September from the penalty spot after Spurs controlled the first half. 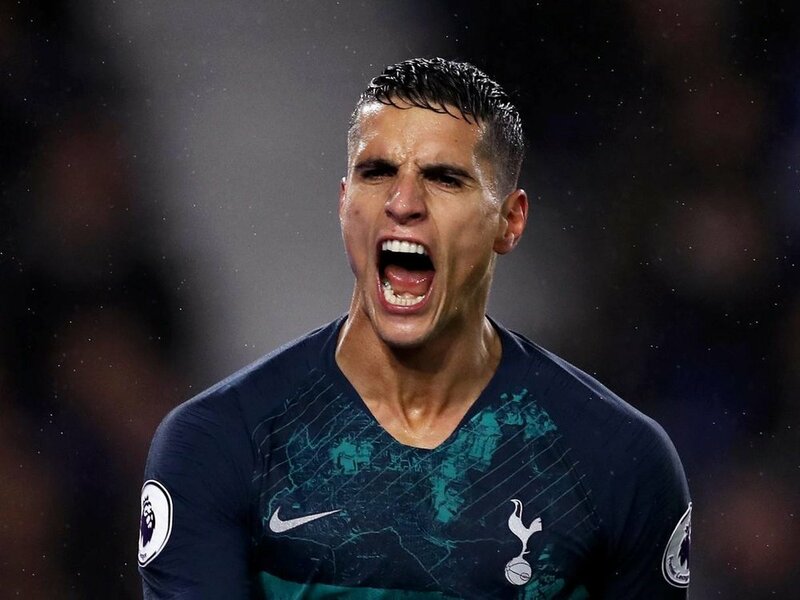 Erik Lamela doubled their lead in the second half and Spurs held on after Anthony Knockaert got one back late on. The win takes them back up to 5th in the league table and back on track following a poor run of results. Following the late calamity at the San Siro, Mauricio Pochettino gave Paulo Gazzaniga his first start of the season in place of the injured Michel Vorm. He also heavily altered his back four as Ben Davies, Serge Aurier and Davinson Sanchez were replaced by Danny Rose, Kieran Trippier and Toby Alderweireld. Lucas Moura also came back in for Lamela. The first half was relatively quiet, but Spurs were in the ascendancy. They took the lead on the stroke of half time. Following a foul on Harry Kane, Spurs had a free kick from just outside the area. Trippier whipped in a free kick towards the wall, and Glenn Murray sloppily placed his arm up and it connected clearly with the ball. A penalty was awarded, and Kane stepped up to send Matthew Ryan the wrong way, connecting powerfully to drill the ball into the left corner. The goal took the English striker up to 5th in the all-time Tottenham goal scorers list, tying him level with Jermain Defoe. The second half was more of a contest, and Brighton had a goal disallowed. Shane Duffy was flagged up for being offside. They then had their biggest chance as Knockaert was guilty of missing a golden opportunity. He picked the ball up from the left and cut inside away from the Spurs defence. He turned away from Vertonghen but quickly poked a shot straight at Gazzaniga. Tottenham doubled their lead though with a fantastic team goal. Lamela picked up the ball on the half way line and used Rose out on the left. He then gave it back to the Argentinian on the edge of the area. Lamela guided the ball carefully with little power into the bottom right corner. He followed his goal against Liverpool with another to prove his worth to the side. Kane came close to adding a third on three occasions, but Brighton were able to give Spurs a late headache. Following Kane’s third miss, a long ball evaded the Spurs defence and Rose was caught. Knockaert picked the ball up on the right, cut inside Rose, and smashed the ball beyond a helpless Gazzaniga into the bottom left corner. For Brighton, a spirited second half effort wasn’t enough, and they travel to Manchester City next. Spurs held on though after a late scare and earned a vital win. Following three consecutive defeats in all competitions they have finally got back on track. They play Watford at Stadium MK in the Carabao Cup before a trip to Huddersfield in the league next weekend.